Jennifer Millett is a board certified pediatric nurse practitioner. She was born in South Korea and moved to the United States at the age of seven years old. She graduated from the University of Florida with her bachelors in nursing in 2004 and masters in nursing in 2006. During her training, she quickly realized her passion was to work with children. 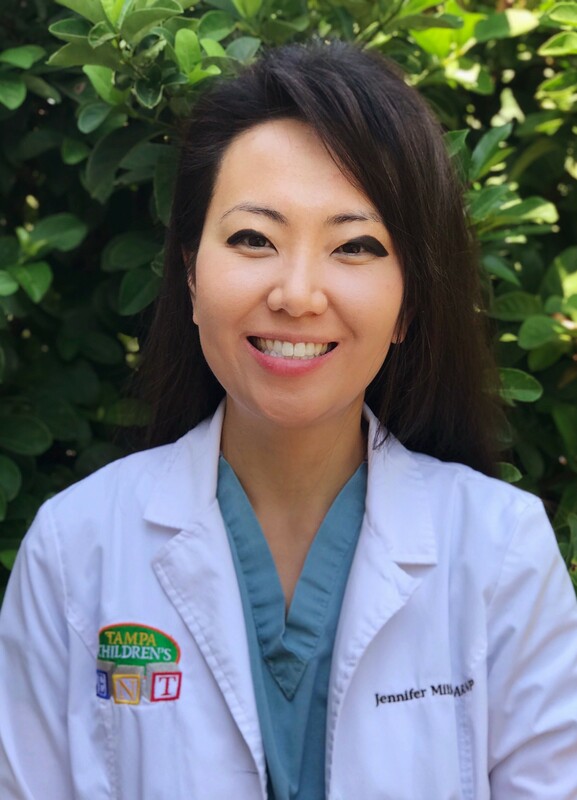 Jennifer was a registered nurse in the pediatric intensive care unit at Shands Hospital at University of Florida for three years while pursuing her masters degree. Jennifer has been practicing as a nurse practitioner since 2007. 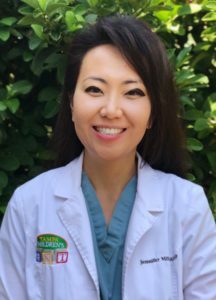 She has previously worked in pediatric gastroenterology and as an adjunct clinical instructor at St. Petersburg’s college. She strives to give the best quality care possible to our children and families.